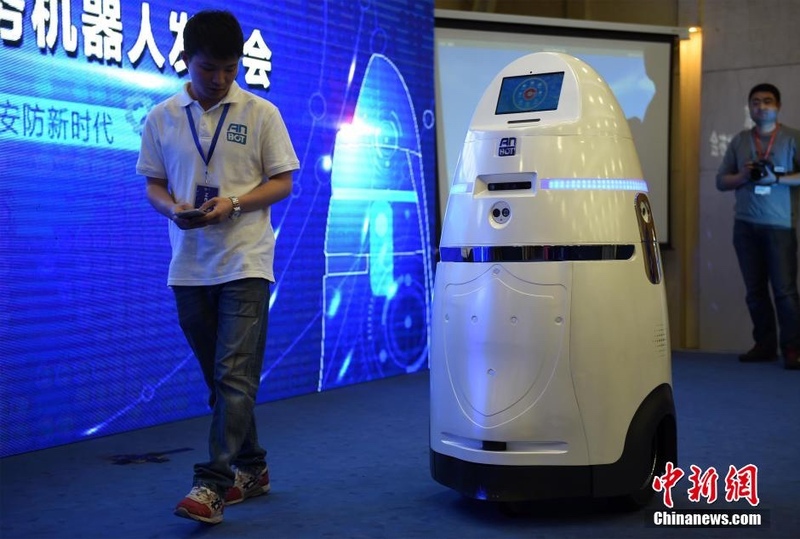 “China's first intelligent security robot debuts in Chongqing,” reads the headline in the Chinese Communist Party official newspaper People's Daily. The riot control robot has a name, “AnBot,” and it's freaking everyone out even more than your regular garden variety riot control robots because the damn thing looks like a Dalek from Doctor Who. And nothing good comes from a Dalek. Anyway, this thing looks ridiculous, and is getting tons of online ridicule. Also it can only chase you down on flat surfaces, not stairs, no robotic parkour moves. For now. It was reported to be “capable of eight hours of continuous work” by People’s Daily, and who knows how long it takes to recharge. Is this even real? The AnBot was debuted at the 12th Chongqing Hi-Tech Fair on April 21. It is apparently “capable of eight hours of continuous work,” says the People’s Daily, without specifying how long it takes for a recharge. Also conspicuously absent from the report is any mention of a feature that may prove useful to Chinese terrorists or rioters striving to outwit an indignant AnBot — its inability to climb stairs.